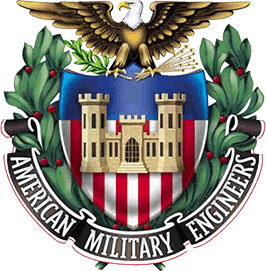 The Society of American Military Engineers (SAME) provides its more than 29,000 members extensive opportunities for training, education and professional development through a robust offering of conferences, workshops, networking events and publications. The Society of American Military Engineers has established strategic partnerships with several non-profit associations whose missions align with that of SAME. The partnerships allow SAME members to take advantage of the licensure, certification, continuing education and networking opportunities offered by these organizations at discounted rates. The Lake Michigan Post draws its local membership from the civilian and military communities of northeastern Illinois and southeastern Wisconsin. It serves the military community primarily located at Naval Station, Great Lakes, Illinois. The major commands at Great Lakes are Navy Region MidAtlantic, Naval Service Training Command, Naval Recruiting Training Command, Training Support Center, Naval Facilities Engineering Command (NAVFAC), MidAtlantic, Navy Band Great Lakes, Navy Operational Support Center, Chicago, Marine Air Control Group 48, Captain James A. Lovell Federal Health Care Center, U.S. Army Reserve Recruiting Command and Reserve Officer Training (ROTC) Command for the Midwest.